The all time favorite. 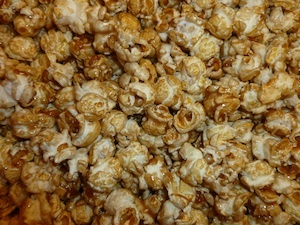 Traditional buttery popcorn, with a hint of savory salt. The cheese lovers’ choice. 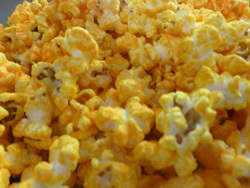 Sharp yellow cheddar coated corn, with a satisfying bite. The most popular selection. 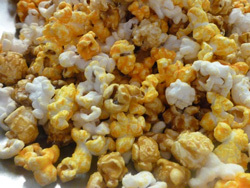 Smooth and decadent popcorn, with melt-in-your-mouth flavor. 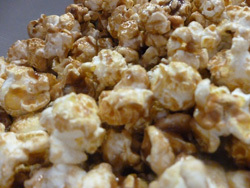 A blend of Caramel, White & Yellow Cheddar. The perfect sweet and savory combination. 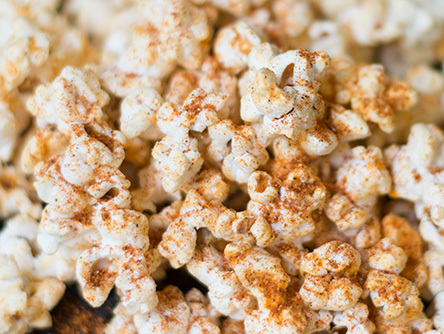 The Q-Shack’s rub meets The Mad Popper’s Classic Popcorn creating a perfect savory snack with a little kick. 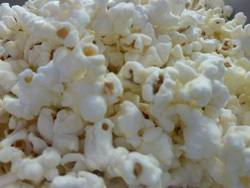 Melted white cheddar poured over lightly salted popcorn for a flavorful and smooth combination. 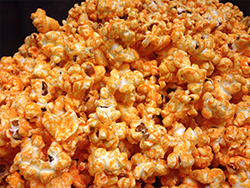 Deliciously smooth & spicy Jalapeño Cheddar popcorn. Combination of fruity flavor. 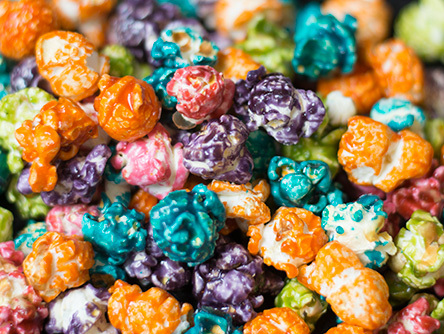 It is a burst of color and explosion of fruity flavors! Not available in December. 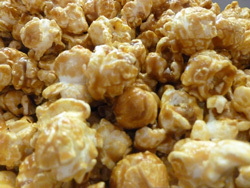 During the month of December, we are only able to pop our Signature Flavors (caramel, yellow cheddar, white cheddar, TMP blend, q-corn, maple, jalapeño cheddar) and our holiday flavors. These are our Flavors of the Week. 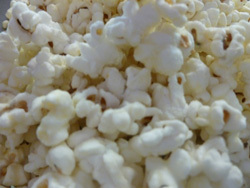 Check our homepage to see what’s poppin’ right now. These flavors are also available by special order with a minimum party size tin.